In this post I will show you a tool I created to monitor your Deployment Share. 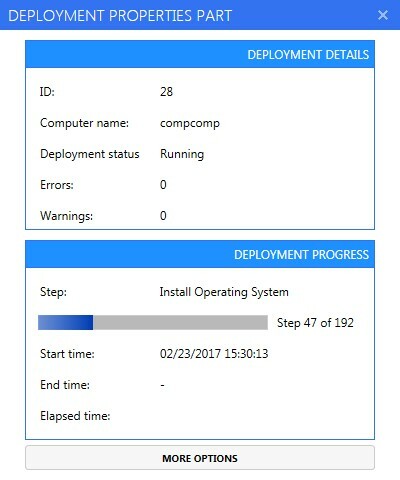 You will be able to see running, completed and failed deployment. 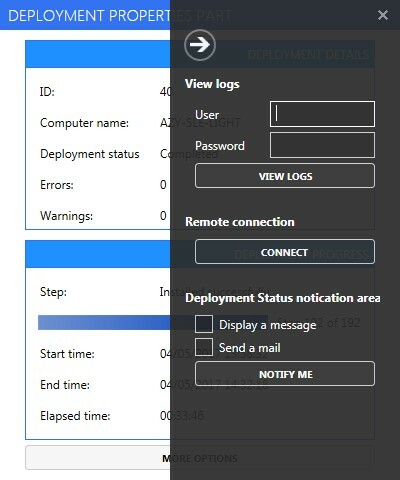 You will be also able to be notified when a deployment is completed or not by a GUI and by mail. Why this Tool ? 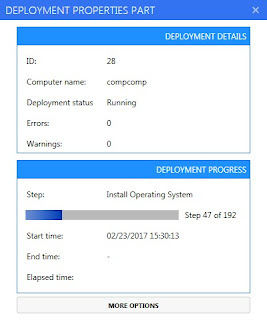 I created this tool to show you a new way to use the MDT Light method. This tool can be used for instance to monitor your deployment. 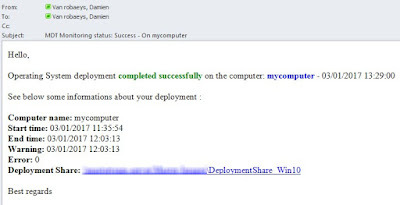 In the below example I used the tool to display deployment, and be notified when the selected deployment is successfully completed or not by mail and with a WPF GUI. 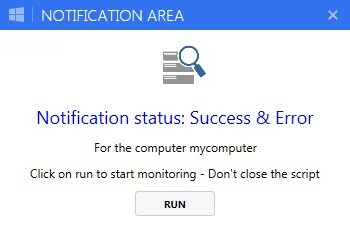 As the computer has already been installed and status is on completed, the notificatyion will be immediatly displayed. The GUI will be launched and all computers will be displayed. The main GUI below, will show you all running, installed computers and also these one on which some errors occured. For instance the line below, shows a running deployment. The Actions part below, is composed of 3 buttons. Note: To use the three buttons below, you have to select first an entry in the datagrid. 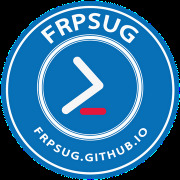 The first button, refresh, allows you to refresh the Datagrid. The second button allows you to display properties of a specific computer, as below. 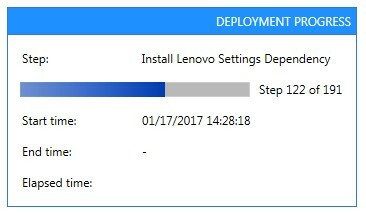 The third button allows you to remove an entry of the monitor datagrid and also of the monitordata from MDT. 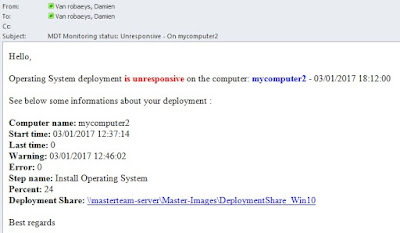 The Deployment details part, shows computer name, deployment status, how many errors and warnings occured during the deployment. In the case below, we can see 7 errors during the deployment. 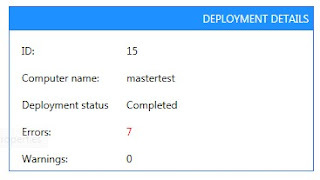 The deployment progress part, shows you the progression of your deployment. The View logs part allows you to connect to the folder on the concerning computer. Type a user name and password that can access to the computer and click on the View logs button. It will open the logs folder in a new explorer window. If the connection fails the below GUI will be displayed. Click on the Connect button and the mstsc.exe windows will be displayed. The Deployment Status notification area part allows you to be notified when the deployment is completed successfully on the computer or when an error occurs. 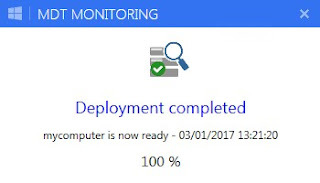 Check Display a message, to be notified with a GUI, when the computer is successfully installed. 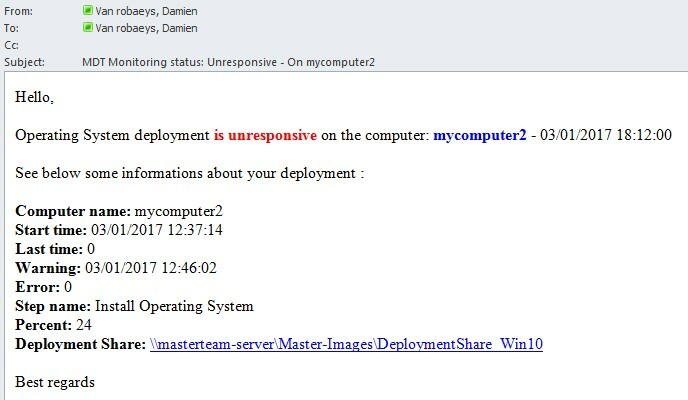 Check the Send a mail to be notified by mail when the computer is installed or when an error occurs. Once you have checked an option the below GUI will be displayed to resume your choice. To run the monitoring analyze click on the Run button. 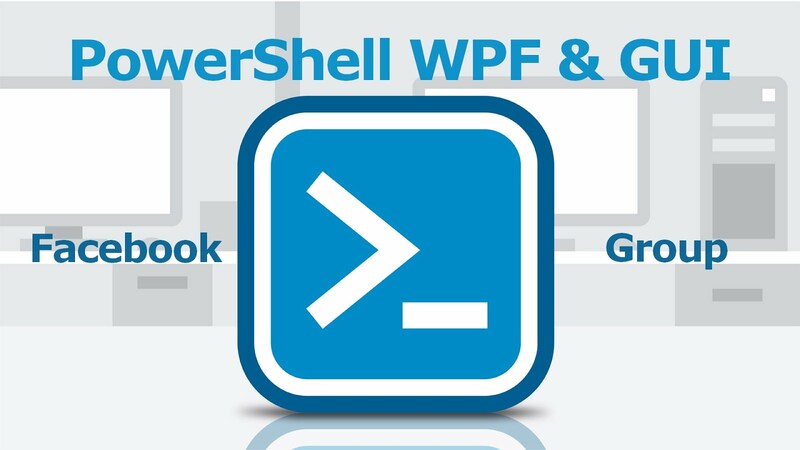 Then a PowerShell window is launched. 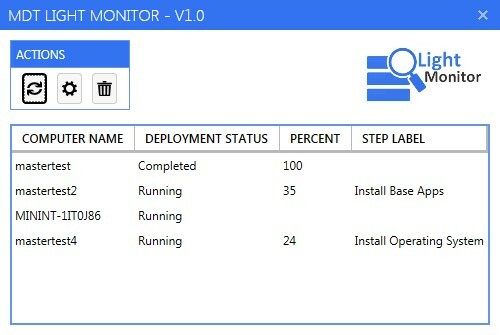 This window will analyze your deployment using the Get-MonitorData cmdlet. Do not close this window until the notification appears. You can close the other GUI, as below. If the deployment is completed successfully you will get the below notification if you have checked option Display a message. 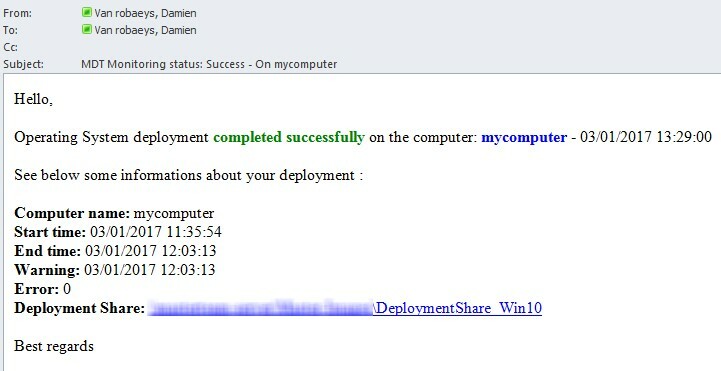 If the deployment failed, for instance with unresponsive status, you will get the below notification. If you have checked Send a mail, you will receive a mail as below. 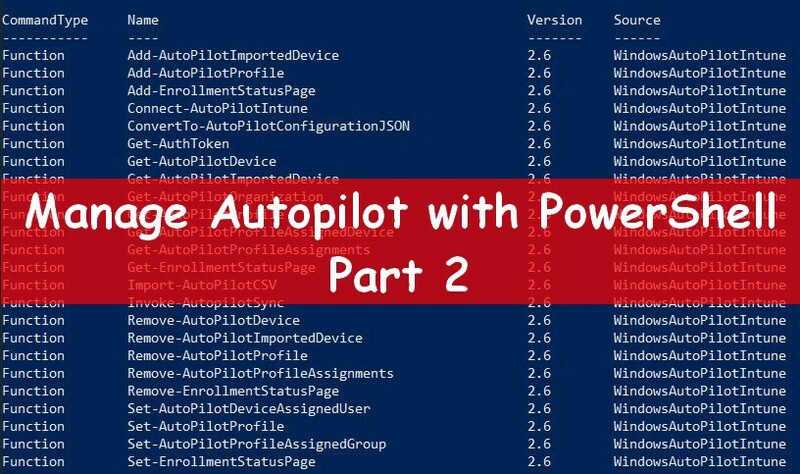 I will provide you soon a version that allows you tu use the monitor tool without MDT or ADK installed on your computer.